Written by a Marine who served USMC '08-'12. The United States Marine Corps is a unique branch of the US military and is organized as part of the Department of the Navy. With over 241 years of war fighting experience and distinct prestige, the Marine Corps has mastered the art of military structure. Four Marines to a fire team (consisting of a rifleman, Automatic rifleman, assistant automatic rifleman, and a team leader), three fire teams to a squad (three team leaders and one squad leader), three squads to a platoon (three squad leaders, one platoon sergeant, and one platoon commander). There are four companies to a battalion and four battalions to a regiment. The four companies include three line companies and one H&S; the four battalions include three lines and one H&S. 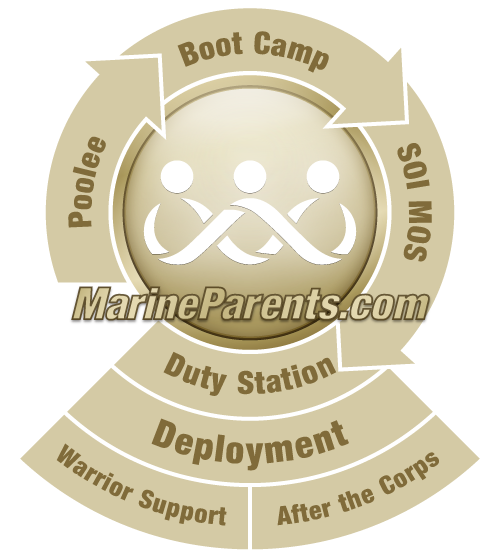 There are always variations to what is the standard breakdown of Marine Corps unit structure. For example, 1st Battalion 12th Marines has three battalions to the regiment and the platoon/squad sizes can vary. Note: Field Artillery Units are not referred to as a Company; they are called a "Battery". As an example, E Battery, 2 Battalion 11th Marines. You will know this as a field artillery unit where "E" is the "Battery" rather than a company name. Image info: Security Force Marines with 3rd Battalion, 7th Marine Regiment, Special Purpose Marine Air-Ground Task Force -- Crisis Response -- Central Command, conduct a live-fire table five range in Southwest Asia, September, 29, 2015. The range tested the Marines ability to move, shoot and communicate ensuring the units mission readiness. The SPMAGTF-CR-CC provides the Commander, U.S. Central Command with a wide array of crisis response and contingency options across the 20 countries in the Area of Operations. —Photo by Cpl Jonathan Boynes.